30 Posts in 31 Days – I Made It! 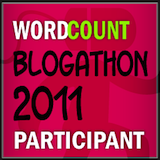 Today marks the conclusion of the 2011 Wordcount Blogathon. I was among 200 bloggers who accepted the challenge to post every day in the month of May. Michelle Rafter, a Portland-based business editor, reporter and blogger, organized this event to bring together professional writers and anyone else with a blog to help them improve their blogging skills. It feels great to have seen this challenge through – the only day I missed was when Blogger.com had a technical glitch that prevented me access to my blog. This experience allowed me to connect with other bloggers and writers, while also stretching my discipline and creativity. Before I started this challenge, I was fortunate if I posted every two to three weeks; now I feel confident that I can post twice a week without too much effort! I also invited colleagues to be guest bloggers. 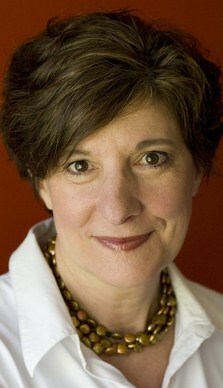 On May 23, Bonnie Daneker became my first guest, offering tips for turning your blog into a book. On June 20, I look forward to a guest post by Judy Stone-Goldman, creator of The Reflective Writer, a blog on writing to achieve personal and professional balance. Through my participation in this year’s blogathon, I wanted to more clearly find my own voice as a blogger through daily posts, and to explore what I love about writing and storytelling. I realized both of these goals. I also improved my skills at “content curation” — a technique where you comb the web for useful expert articles on your topic and reference them in your own blog. A third goal still in progress is expanding my blog’s reach to a broader audience — I was able to link up my blog with my Twitter and LinkedIn accounts so everything is in sync. Now, I want to find other ways to drive traffic to my blog. While I have more to learn about this medium, I got a very big boost this month in my confidence that I have something to contribute to the blog writing community. Thanks, Michelle, for creating this opportunity. I look forward to what’s in store for Wordcount blogathoners in 2012. This entry was posted in Blogging, Social Media Tips and tagged blogathon challenge, building an online community, content curation, guest blogging, WordCount Blogathon on May 31, 2011 by AnneWainscott.